District 2 School News – School Board Member Dr. Dorothy Bendross-Mindingall (D-2) was proud to attend the Miami-Dade County Public Transit Student Poetry Unveiling at Poinciana Park Elementary School. 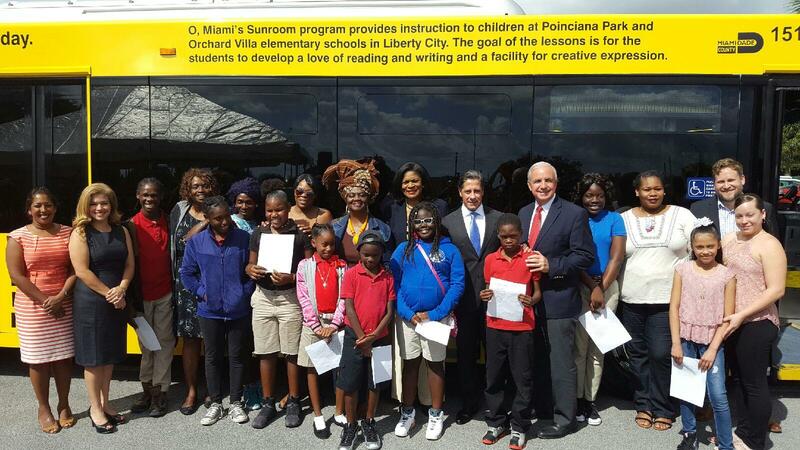 Great job to our talented students attending Poinciana Park and Orchard Villa Elementary Schools for their artistic expressions which will be displayed on a bright yellow transit bus. Thanks to Principals Dr. Amrita Prakash and Tony Ullivarri, teachers, parents, school staff, Miami-Dade County, and O Miami for educating our wonderful students.